If it’s about audio, it will be at AES137 in Los Angeles, and now is the time to take advantage of our special registration pricing. The industry is gearing up for the Audio Engineering Society Convention to come back to Los Angeles after 12 years. The AES Convention continues to be the largest gathering of professionals involved in the audio industry, and we are very excited to continue the momentum we have been building throughout the last year — including our 135th Convention in New York City in October 2013, one of the most successful conventions in recent memory. 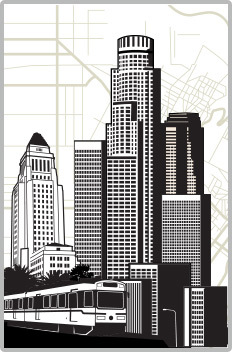 We are deep into the planning stages for AES137, which will take place Thursday, October 9, through Sunday, October 12, 2014, at the L.A. Convention Center, located in the heart of the revitalized downtown Los Angeles area known as L.A. Live. Once again, the 137th Convention will celebrate all that is new and important in the field of audio. We are aiming to make this event even bigger and better than the New York convention, and as we build our comprehensive schedule of technical sessions, training seminars and special events, that goal is more than reachable. Please take a look at our pricing options for exhibition booths and other methods of participating in the 137th Convention.